Unleash your inner monster and fill the world with color! Plot color-matching paths through fields of cute alien critters, using puzzle-solving skills and special powers to succeed. 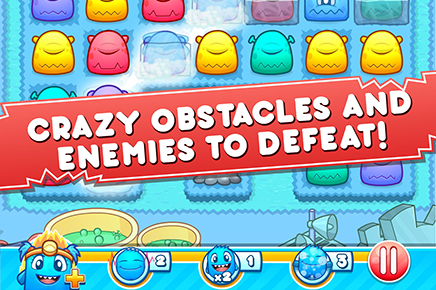 Each level offers new colorful combinations and challenges, with crazy characters to meet and new worlds to unlock. Escape to this stunning fantasy world full of puzzle enjoyment and discovery – Monster Mania is here for you! 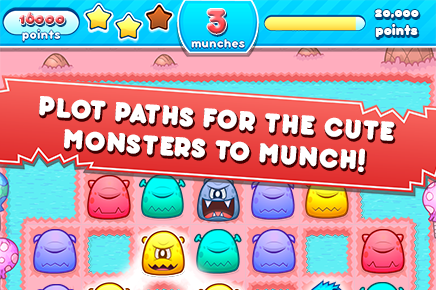 Plot color-linked paths for your cute monsters to munch! 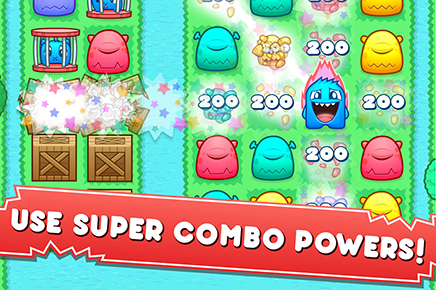 Achieve powerful new attack states using combo’s and clever puzzle planning. 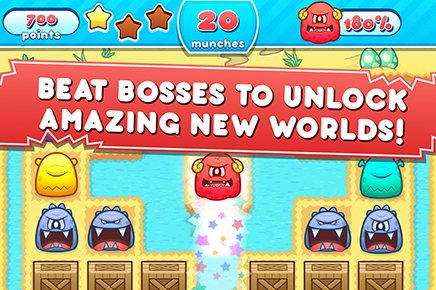 Unlock adorable new monsters and overcome new enemies boasting powerful tactics and abilities! Collect Power Orbs and use epic special attacks to outwit powerful foes including Bosses, Ghosts, and even Cannibals! Hundreds of puzzle-packed levels with different features and personalities – even more coming soon! 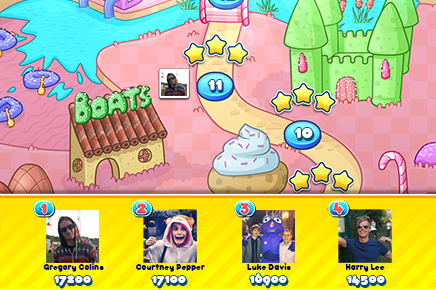 Save the monster world alone or compete with friends via Facebook to see who can get the highest score. Use world leaderboards to compare your progress with fellow players everywhere!